The 99.2cc Bajaj CT100, which is also India's most affordable bike available in 4 variants, has led the charge for Bajaj Auto along with the Platina commuter sibling and the sporty Pulsar range. 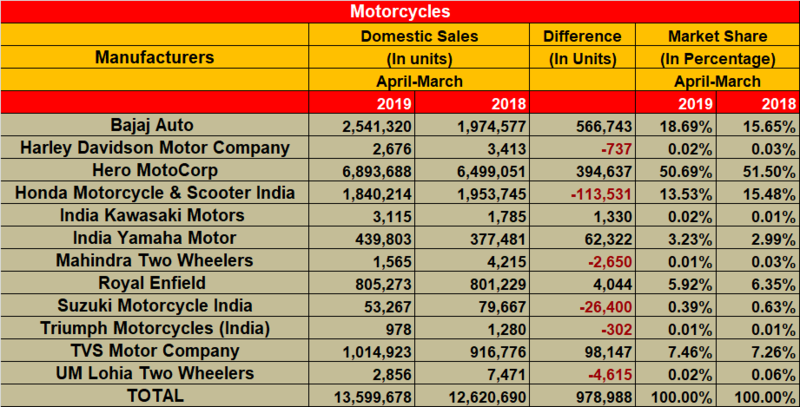 Motorcycle manufacturer Bajaj Auto, which has recorded a scorching pace of growth, both in domestic and exports markets, has led the domestic two-wheeler market share charge in the recently-ended FY2019. With sales of 2,541,320 motorcycles in FY2019, which marks robust 28.70 percent year-on-year growth, the Pune-based manufacturer has increased its two-wheeler market share from 9.78 percent in FY2018 to 12 percent in FY2019. 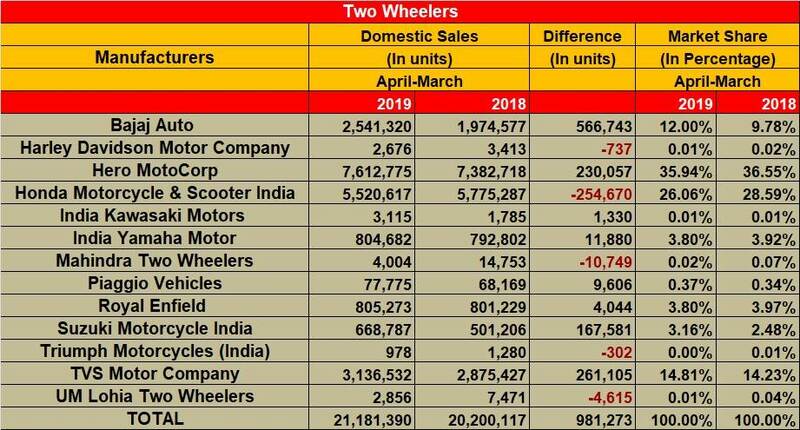 This 2.22 percentage-point increase is the highest by a two-wheeler OEM in FY2019. Within the pure motorcycle segment too, Bajaj Auto is the biggest gainer. The company has grown its market share from 15.65 percent in FY2018 to 18.69 percent in FY2019. All other players, other than India Kawasaki, India Yamaha and TVS Motor, have seen their shares fall. For Bajaj Auto, the CT100 and Platina commuter motorcycles and the Pulsar sports bike brands have been the growth drivers. Delve into the FY2019 sales statistics and the Bajaj Auto quartet of commuters (Boxer, CT100, Platina and Discover) has sold a total of 1,442,892 units, a massive 51 percent YoY increase. It is well known in market circles that of these four machines, the single-cylinder, 99.2cc CT100 and 102ccd Platina have delivered the volumes and also eaten into rival’s shares. The executive commuter motorcycle market, which the Hero Splendor still rules, has shrunk, clearly impacted by the charge of the Bajaj rivals. What has helped the CT100 gain ground is discounting along with free five-year warranty and five-year insurance but the strategy has worked for Bajaj Auto, enabling it to increase market share in a fiercely competitive market, which also had to battle with poor consumer sentiment for most of the year. Importantly, the entry level motorcycle market, despite a tough fiscal particularly the last two quarters, has made a comeback. In FY2019, this segment sold a total of 8,422,288 units, posting 13 percent YoY growth and accounting for 62 percent of overall motorcycle sales of 13,599,678 units in FY2019. 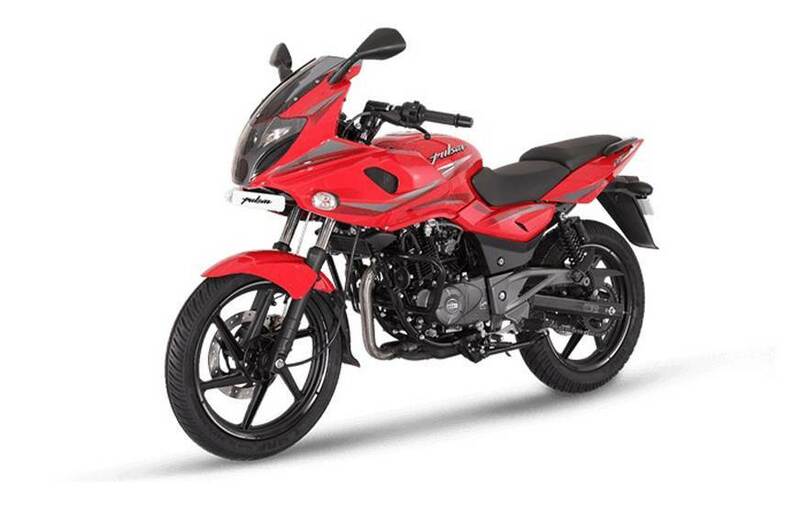 The Pulsar 220F was recently updated with fresh graphic schemes and a new crash guard.The bike, which now gets ABS, is priced at Rs 105,254 ( ex-showroom, Pune). Seeing the success of its strategy, Bajaj Auto aims to maintain the pressure on its rivals and the first quarter of FY2020 is set to three new products in the form of the updated/new CT, Platina and Pulsar. Clearly, the competition stands warned. Market leaders Hero MotoCorp and Honda Motorcycle & Scooter India have both seen their market share reduce. While Hero saw its share dip from 36.55 percent in FY2018 to 35.94 percent in FY2019, HMSI saw its market share fall from 28.59 percent in FY2018 to 26.06 percent. Of the 13 OEMs, who reveal their sales/dispatch numbers to apex industry body SIAM, only 4 have clocked growth in market share. Other than Bajaj Auto, the other three are Piaggio Vehicles, Suzuki Motorcycles India and TVS Motor Co (see detailed table below).